With high quality dental care from Dr. Fasano, your whole family can keep smiling. If you do not have dental insurance, however, there is no need to sacrifice your oral health. 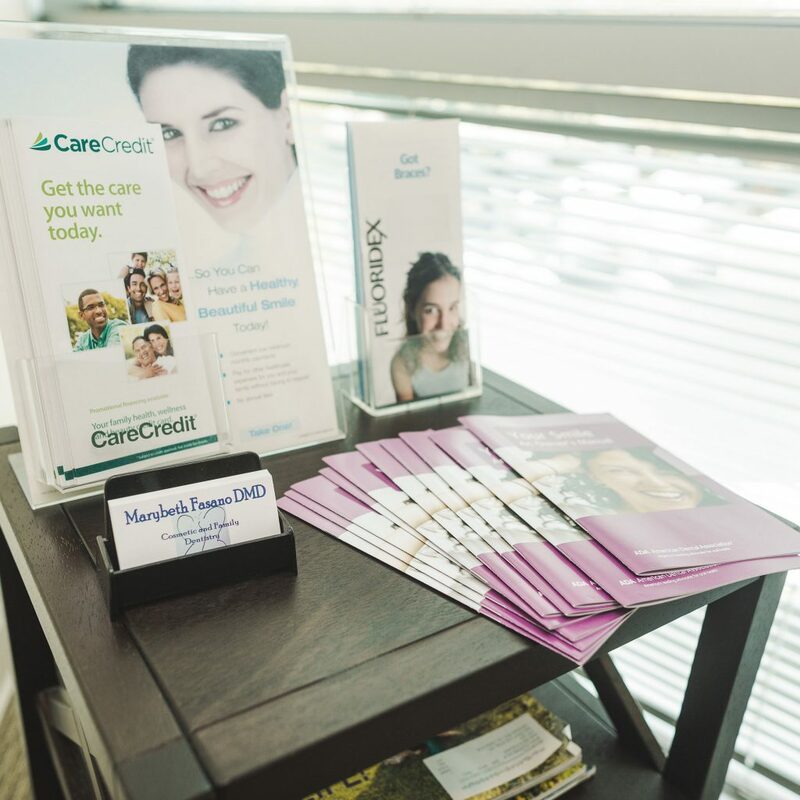 Our Smart Smile Membership Plan can save you money on all your dental treatments in our office. The Smart Smile Membership Plan is NOT dental insurance. It is a discount dental plan. The Smart Smile Membership Plan cannot be used in conjunction with any other discount plan or insurance program. To learn more about our plan and to receive an application, view our PDF brochure or call Dr. Fasano’s office at 757-412-2235. This Membership plan is NOT insurance. It is a discount plan. Payment in full is due at time of treatment. If patient elects to use any financing programs (i.e. care credit), then discount is limited to no greater than 5% due to merchant fees. Membership is effective on date of full payment, and that date is your anniversary date. Membership is non-transferable and non-refundable at any time for any reason. 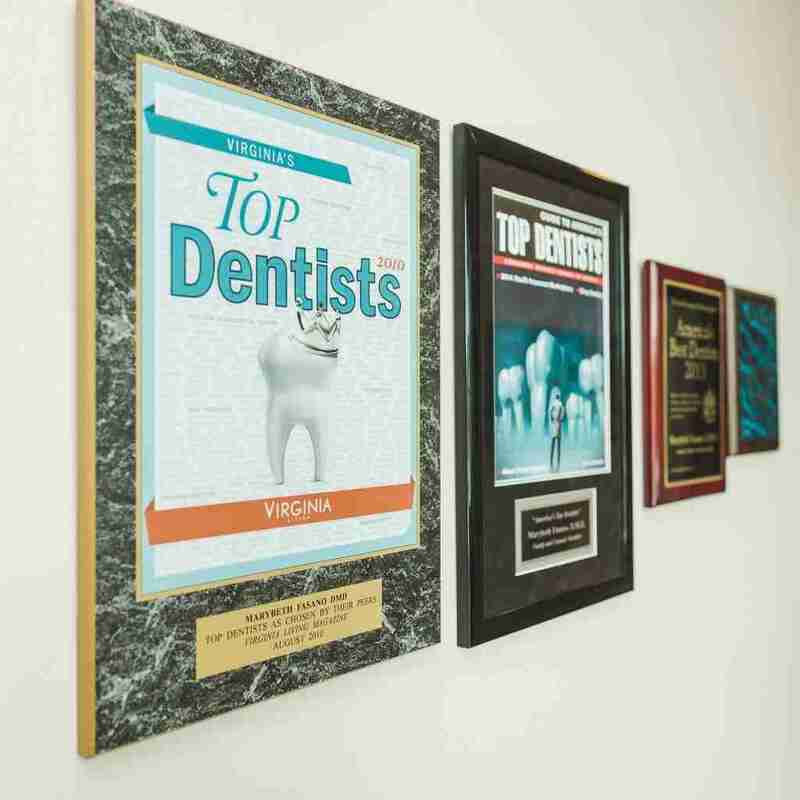 Membership is only for use at the office of Marybeth Fasano, DMD and not at any other dental office or specialist. Plan benefits do not roll over from one year to another. We reserve right to refuse, limit, or terminate enrollment in membership plan. Accounts must be active and in good standing to receive membership benefits. It is the patient’s responsibility to schedule and keep all appointments. A broken appointment fee will be assessed without any discount. If treatment is due to injury with litigation, disability, or workman’s comp, then membership cannot be used. Cannot be used for dental care products.